Camille Pissarro was a Danish-French artist who had an impact on Impressionist and Neo-Impressionist art styles. Although he is famous for his artwork, he faced setbacks during his lifetime that resulted in the loss of many of his paintings. His life and paintings have played a significant role in the development of modern artistic styles. 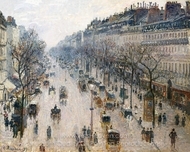 Although he is known by the name Camille Pissarro, the painter's name at his birth was Jacob-Abraham-Camille Pissarro. He was born in 1830 on the Island of St. Thomas, which is now part of the U.S. Virgin Islands. 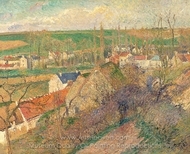 Until he was 12 years old, Camille Pissarro attended a Protestant elementary school. It was in 1842, when he was sent to a French boarding school, that the famous painter recognized his passion for art. 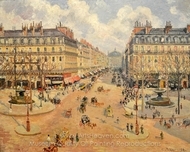 When he returned home at 17 years old, Camille Pissarro began working in the family shop. He continued art as a hobby and ultimately left home in 1852 to sketch landscapes in Venezuela. 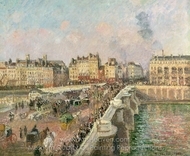 It was in 1860 that the artist moved to Paris and settled with his family. Many Camille Pissarro's oil paintings were lost during the Franco-Prussian War of 1870-71 because the artist and his family moved to London. A large portion of the paintings that were left behind were destroyed with his house. 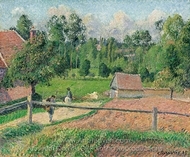 Although the artwork left in Paris was damaged, Camille Pissarro painted the small town of Sydenham. 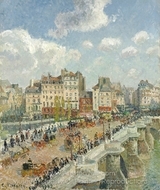 The short move to London inspired the artist to return and paint famous areas throughout the area, which has become part of his famous collection of works. Among the famous paintings that came from London was the lost painting of St. Stephen's church, Sydenham Hill and Bedford Park, Chiswick. 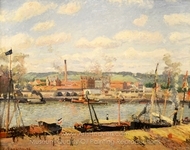 The artist primarily painted landscapes and the buildings during his stay in London, which now acts as a reminder of the town during the 1870s. 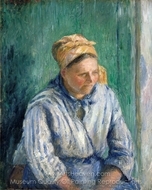 Camille Pissarro famous paintings displayed his sympathy for the common laborer. 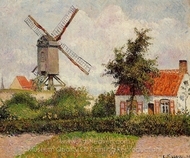 Many of his paintings depicted men and women at work and the landscape around them. 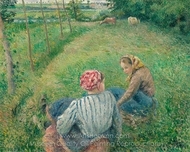 The landscape paintings were a common theme among his work and Camille Pissarro ultimately became the inspiration for many young impressionist and neo-impressionist artists. He was known as the father of impressionism after he established a collective society for artists in 1873 that broke away from the classic styles of art and embraced the new artistic inspirations. Although he was a member of the society, his older age and his warm personality allowed the artist to take on a fatherly role. He was the individual who offered encouragement and wisdom to struggling young artists. 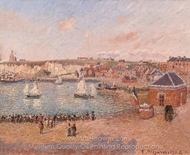 As the artist got older, he began exploring different neo-impressionist styles. 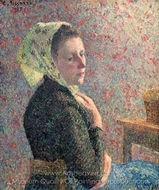 He used Pointillism, which is seen in his paintings Children on the Farm and Haying at Eragny. Although he experimented with newer styles, the artist ultimately returned to his impressionist roots near the end of his life, when he was unable to enjoy painting outside due to an eye infection. 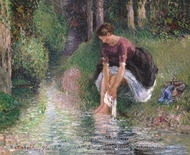 As his life came to a close, Camille Pissarro began seeing the success of his work. During the early years of his life, the painter did not sell many of his paintings. It was near the end of his life that younger generations began buying his work. Although he did not see a great deal of success during his lifetime, Camille Pissarro is one of the most celebrated Impressionist artists. His artwork displays his empathetic and political views as well as the natural beauty of the world. The interesting style and imagery in his paintings continues to inspire modern artists to seek their own style and his paintings have become famous for the beautiful details and emotions found in every work.